The mind of an ISTJ is a fascinating place; a storehouse of facts, details, and information that can be recalled at a moment’s notice. These masters of memory are simultaneously serious yet remarkably witty; with a dry sense of humor that can keep anyone guessing. They are recognized for their impeccable attention to detail and their ability to get a job done with unbeatable resourcefulness and accuracy. The ISTJs ability to manage resources and money well often makes them successful in the financial and business industries. Warren Buffett, Jeff Bezos (the founder of Amazon), Ingvar Kamprad (the founder of IKEA), and Peter Thiel (the founder of PayPal) were all ISTJs. If you know an ISTJ, what you’ll see is their auxiliary function, Extraverted Thinking (Te). This function gives them a firm, objective view on how decisions should be made. They can easily spot problems that need solving and find efficient ways to resolve these problems in a timely manner. They like to have things organized and logically handled, and while they prefer a certain autonomy, have no problem delegating if it will speed up the process. The ISTJs thinking side allows them to remain objective and focused on the facts when a decision needs to be made. Because ISTJs are introverts, their dominant function, Introverted Sensing (Si) is hidden from plain view. It is constantly working in the background and is more accessible to them when they can be alone to process things. Introverted Sensing (Si) types have a remarkable ability to retain information and past experiences. They are careful and responsible people, who draw on life’s lessons and trusted resources to make wise decisions for the future. 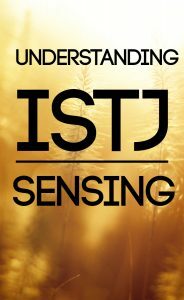 Si also gives ISTJs a unique ability to feel inner-body sensations strongly. ISTJs (and ISFJs) are often highly aware of the tastes and textures of food, and can sense nuances in flavor that many other types aren’t aware of. They are also especially aware of feelings like hunger, thirst, fatigue, or illness. that “The more times SJs repeat something-eat a certain meal, listen to a specific song, etc,.-the more likeable (or tolerable) it becomes.” This is why when you go out to dinner with an ISTJ, they may have a favorite restaurant and a favorite meal that they order time and time again. 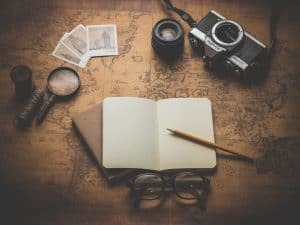 This isn’t to say that ISTJ’s can’t be adventurous or try new things, they just greatly enjoy the “tried-and-true” and experiences they have positive memories associated with. ISTJs are tremendously dependable people who believe in being true to their word and following through on responsibilities. They are known for their honesty and hard-working nature. While they are noticeably reserved, they have an intense depth of caring for their families and loved ones. In this way they can be a fortress of strength to others; they keep calm during a crisis and use their resourcefulness and experience to find resolution to problems. They are trustworthy, they won’t gossip about your personal life, and they’ll give you real-life solutions that many other types fail to recognize. Si-users are not impulsive, but careful and frugal in their decisions. They think carefully about their choices, and try to make the most responsible and reasonable decisions. They put a great amount of trust in their past experiences, and the lessons they’ve learned in history. They make lightning-fast connections between what happened in the past and what is likely to happen in the future. Because they trust routine and the past, they can be wary of change. That said, they can be just the people you need to help a company (or person) in a transition. They know how frustrating change can be so they know how to prepare for it, how to plan effectively, and how to ensure everyone is on board and capable of handling the transition without being thrown off guard. – They are objective and logical. – They are systematic and thorough. – They like to complete projects in a sequential order. – They are hard-working and responsible. – They are extremely practical and down-to-earth. – They enjoy routine and knowing what to expect. – They are excellent at planning and preparing. – They recall and absorb a great number of facts. – They often have a dry, sarcastic sense of humor. According to Dario Nardi, a UCLA professor and expert in the field of neuroscience, ISTJs (and ISFJs) show brain activity that “reflects their background, training, and job expertise….Si types are stimulated by focusing on activities that correspond to their specific experiences and training.” He goes onto say that they enter a zone-like state when they review past events, especially if they close their eyes and immerse themselves in a memory. Nardi also says that Si-users are “specialists”. They have an intense focus on a specialized skill or activity and “have a propensity for rote memorization, repetition, and in-depth review of daily events-all habits that help them burn new neural pathways.” ISTJs show high brain activity in areas that help them to consider and plan for the future as well. They may not daydream about the future in an abstract way, but they like to plan for the future in practical, hands-on ways. This is why they are skilled at preparing for a trip, a business meeting, or any tasks or activities in the near future. You can find out much more about the neuroscience of ISTJs and all the other personality types in Dario Nardi’s book Neuroscience of Personality: Brain Savvy Insights for All Types of People. 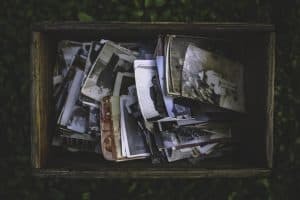 ISTJs tend to have a very visual memory. They often think in terms of mechanical images and as a result are drawn to the fields of mechanics and engineering. They can easily recall in their mind how things are built, constructed, and maintained. ISTJs who have developed especially masterful use of Si can have a nearly “photographic” memory, easily recalling dates, phone numbers, and huge amounts of technical data. Now if you’re an ISTJ with an average memory, don’t worry. There are plenty of ISTJs who have average memory recall because they’ve had to focus more on their auxiliary process, Extraverted Thinking. ISTJs who spend much of their time around others will naturally use their extroverted function more. While Si will still remain the dominant function, they may not have the mastery of it that someone with more alone time would. That said, their thinking process might be more advanced than a typical ISTJ’s would be. The objects of the ISTJs memory may differ from person to person as well. Some ISTJs will be better at recognizing faces and symbols over dates and phone numbers. But generally speaking, ISTJs (and ISFJs) are going to be much better at recalling information from the past if they are allowed to utilize their Si to its full extent. They can fully encounter the power of Si by allowing themselves quiet time alone to immerse themselves in their memories and past experiences. Si-users tend to especially enjoy watching old “home movies”, listening to music they once loved, or looking at photographs that bring them back to an experience they loved in the past. Exercises like tai chi and yoga can also help the ISTJ to get further in touch with his or her body and internal sensations. This is a great way for them to de-stress, calm, and get into a mental “zone” that is quite gratifying as it fully utilizes all of Si’s abilities. These facts are taken from the MBTI® Manual – Third Edition. – ISTJs are one of the top two types among industrial/technical teachers. – ISTJs prefer the academic subjects of math and practical skills. – According to a national sample, the favorite leisure activity for ISTJs was “Watching sporting events”. – ISTJs are overrepresented among bank officers and financial managers. – ISTJs are overrepresented among both male and female small business owners. Want to know more about ISTJs? Check out these amazing books! Great article Susan. I’ll be on the lookout to see if i know any in my area.Si is somethjing i have developed a little over the past few years,by visualizing moments. As an ISTJ, I can say this article describes me to a T. Very well written. There are a few resources I’ve bookmarked for future reference and this has easily become one of them. So many of you observations are true for me! The major difference here is that I have no clue in math or engineering. But one of my brothers who I strongly suspect is also an ISTJ is a great civil engineer. Thanks for your fascinating articles! Hi Nancy! I hope you don’t mind, but would you be able to clarify what you’re hoping for better? Are you looking for a way to get more in touch with the mind/body/spirit or am I misunderstanding? Sorry to be a little slow, just want to make sure I know what you’re asking 🙂 Thank you!